What Does Memory Screening Entail? 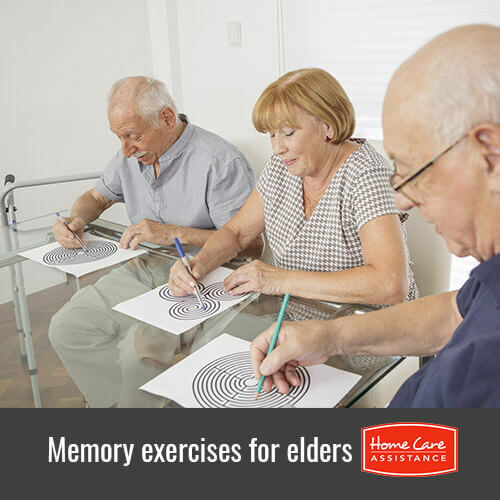 Memory screenings are basic evaluations that contain a series of questions and requested activities that determine memory and other forms of cognitive impairment. Healthcare professionals may perform the assessment within an office setting, in a home care setting, at community centers or other informal locations. Upon entering an assisted living or long-term care facility, nursing staff commonly administer memory screenings. In addition to giving the test when a senior loved one notices cognitive deficits, practitioners also provide the test to determine a baseline before a cognitive disease shows symptoms. Following is everything Rhode Island dementia caregivers need to know about memory screening. There are a variety of test formats that usually have less than 30 questions. Point values are assigned to each question and are totaled upon completion. The score for each question depends on whether the individual provides the correct answer. Some tests allow for partially correct answers. Along with memory recall, screenings also assess language skills, problem solving and visual perception ability. Tests do not provide a definitive diagnosis, but may suggest that the senior undergo further examination. The questions are straightforward and easy to comprehend. Seniors are often asked if they are aware of the current date, time of year and physical location. They are commonly asked to repeat a series of words or a particular phrase and later asked to recall the items. Some screenings include questions that are asked of the senior or an Alzheimer’s caregiver in Rhode Island concerning the particulars of his or her cognitive symptoms. These might include when the symptoms became noticeable or if the problems only occur during certain times. Activities might entail completing a common phrase, copying a simple image or creating a sentence. Should your loved one receive a dementia diagnosis, reach out to Rhode Island Home Care Assistance. As the leading provider of Alzheimer’s and dementia home care in Rhode Island, we make it our mission to help seniors age in place with confidence. Call us at (401) 284-0979 today to learn how our compassionate caregivers can help your loved one.